Step into the shoes of Alfred Fox, a private eye with a knack for getting into trouble, and confront the danger looming over your old flame, Barbara Le Purr. Using your own intuition and wide investigation techniques you will follow the intrigue and face many, sometimes deadly, consequences. When you receive a phone call from your old flame, Barbara, you don't expect it to be the beginning of the most difficult investigation in your career. The affair from the past will become the source of questions that you will try to answer. Was it the beauty of the smart femme fatale or her journalistic curiosity that brought her trouble? Your task is to find her stalker and figure out who really pulls the strings in this vibrant but dangerous city. Will you succeed in solving the puzzles and expose the deadly secrets of the City of Crime? Will you have the determination needed to get to the truth? Will you find the courage to dive deep into this mature and passionate adventure inspired by film noir? 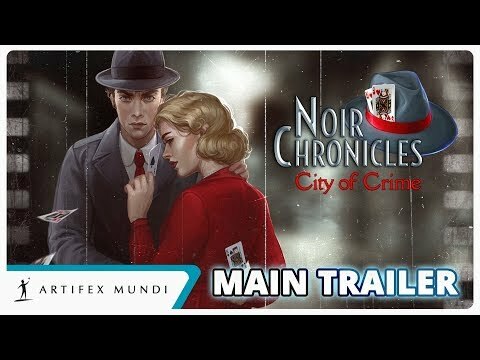 Noir Chronicles: City of Crime was released on PS4 164d ago in the US and the UK.